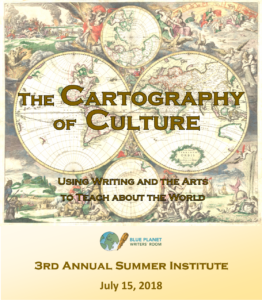 register today for Blue Planet’s 3rd Annual Summer Institute! Maps are an integral part of our world. We map things to find our way, to get the lay of the land. To visualize and analyze events. To see where we’ve been–and where we’re headed. When we talk about global education, about crossing geographic and cultural borders, maps of all kinds can help us in our quest to teach students about the world outside their own neighborhoods. We can map progress…similarities and differences…customs and traditions…social concerns…global and local issues. In short: we can create a cartography of culture. Teachers, teaching artists/writers, cultural educators, education majors–Come spend a Sunday learning how to bring a world of culture into your classroom with globally themed writing and arts projects. 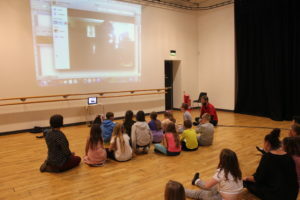 Learn about connecting your students to their peers overseas to learn, firsthand, about other countries and cultures. Get ready for hands-on workshops, lots of take-home resources, and plenty of interacting with other globally-minded educators. Get ready to map out a plan to enrich your students’ education and to reinvigorate your teaching. See you this summer for an extraordinary professional development experience! Charlie Gleek earned his Master’s Degree in Political Science from Florida Atlantic University and his doctorate in Educational Leadership from Lynn University. Charlie’s published scholarship works across disciplinary boundaries and appears in i.e. : inquiry in education and with trade publishers Pearson Education. 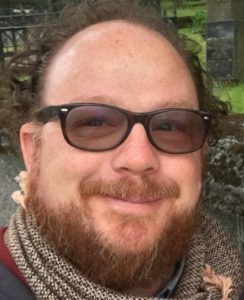 A veteran educator, Charlie has taught high school, undergraduate and graduate students, developed professional development curriculum, and facilitated workshops for K12, university, and community educators in the United States, Europe, and online. Charlie lives in Boca Raton where he teaches and researches as a Ph.D. student in the Comparative Studies program at Florida Atlantic University. Susan Gay Wemette is the co-founder and a director of Global Language Café. For the past ten years, she has been the Co-Executive Director of Blue Planet Writers’ Room, a non-profit dedicated to global education through arts-integrated international collaborations. Susan holds a PhD in Curriculum and Instruction with a focus on arts education, an MFA in Acting, and a BFA in Theatre. She lives in Lake Worth, Florida, with her husband and three children. Kate Schmitt earned her M.F.A. and Ph.D. from the University of Houston. She is a visual artist as well as a writer, and her writing has appeared in a number of anthologies, including The Weight of Addition: An Anthology of Texas Poets, for which she won an Editor’s Choice Award. 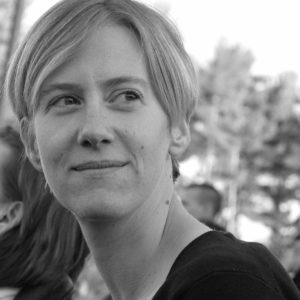 She has also published her visual work, poetry, and essays in literary journals, including Third Coast, Essay Daily, The Florida Review, and The Rumpus. 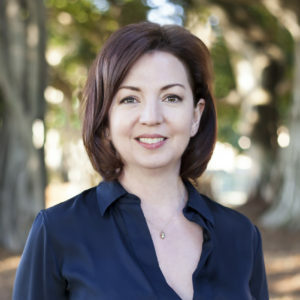 She grew up in New Hampshire and Hong Kong and now lives in Boca Raton, where she teaches creative writing, literature, and bookarts at Florida Atlantic University. Erica Ando has written about art for the past ten years with a focus on the intersections of art, society, and politics. Her art criticism and cultural journalism has appeared in art magazines such as BOMB, Art Papers, Sculpture, Aesthetica, The Miami Rail, and others. She earned her B.F.A. in Sculpture from Parsons School of Design, M.F.A. in Sculpture from Tyler School of Art, and Ph.D. in Comparative Studies from Florida Atlantic University. She is currently Associate Curator of Education at the Norton Museum of Art, where she oversees adult public programs. She lives in West Palm Beach with her child and two passively curious cats. Please note that we will call you only if there is an issue with your registration; Blue Planet does not engage in telephone solicitation of any kind. 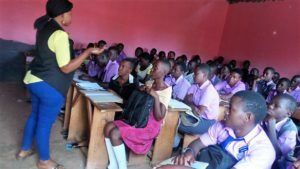 Go here to sign up for our bi-monthly newsletter, filled with global education news and inspiration! In an increasingly globalized world, you can make a difference in how our children learn about the planet…and about themselves. Click here to make a gift of any size to support Blue Planet’s international collaborations in South Florida schools. Copyright © 2014-2016 Blue Planet Writers’ Room.